And welcome to our little circle of awesome. With this humble little blog post, something remarkably special and cool is kicking off, and frankly we’re happy as a slinky on an escalator to have you here sharing in it with us. We’re not what you’re probably expecting. Kind of a strange thing to put out there, I know. Let me explain. I’m not sure how you landed here, but since you’re reading this right now, it’s fairly safe to assume that you’re into real estate in some way, right? I mean, chances are you’ve probably got more than just passing interest in acquiring money, wealth and freedom through real estate investing. So there’s zero need for me to try and convince you why REI’s such a crazy powerful way to make these things reality for you – you already know this. But here’s the dirty little secret: When it comes to the education, information and training side of things, much of what’s available nowadays has a certain sticky film to it. Yep, sad but true… REI’s got issues. And anyone who’s been around this space for more than a few days already knows this pretty well. You smell what I’m cooking here, don’tcha? ⇾ It’s the late-night infomercials and questionable hotel seminars. ⇾ It’s pie-in-the-sky promises and easy-button solutions offering to make all your wildest real estate dreams come true with little-to-no actual effort from you. ⇾ It’s webinars and websites and online videos with enough hype to choke a horse. Now please don’t take me wrong here – there’s absolutely nothing intrinsically bad about people selling stuff or using salesmanship to do so – we’re all selling something after all. And there’s certainly nothing wrong with investing your time and money in a quality self-education vs. the school of hard knocks alone (we’ve spent many tens of thousands of dollars on our own education too). But there IS something shameful and nefarious about exploiting people’s hopes, dreams and hard-earned dollars, while painting a totally unrealistic and fantastical picture of what the real estate opportunity actually looks like in most people’s actual real life. And the sad truth is, there’s just far too much of this kind of tom-foolery going on. I could go on and on and on, but the simple fact of the matter is, at some point the world of learning ‘how to invest in real estate for fun and profit’ went largely off the rails. Sure, things have gotten pretty far out of whack, but imagine: What if we could turn the tables and make real estate investing genuinely awesome again? It’s too common for real estate investors to struggle, wander after shiny objects, let fear hold them hostage, or just fizzle out. We’ve totally been there too. Our mission here is to help you stop doing that and be awesome instead. We’re not infomercial guys and you won’t find us offering “free” seminars in hotel rooms. We’re just real life actual human beings who care and are willing to let you learn from our many wins and losses so you can shorten your own success curve in the process. If you’re new to real estate, we believe in you and don’t want you to quit. You can do this. If you’re experienced, we want to help you crank things to the next level. If you need help pushing past the obstacles holding you back – whether tactics, strategies, mindset, or business skills – we want to help. We actually care about you and your success, and we want to be a part of helping you crush it. So if you want to grow your business, do more deals, make more money, stride towards freedom, expand your mind, have piles of fun, and be generally awesomer in the process, then you’re in the right place. Yeah I get it, I really do. And it’s exactly why I kicked off with, “We’re not what you’re probably expecting.” Because chances are, you’re probably feeling jaded and just waiting for more of the same old shenanigans. 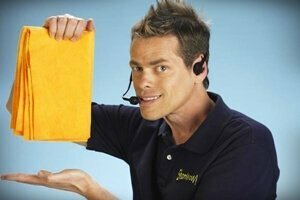 More flashy infomercial hype. More arrogant, self-indulgent douche-baggery. More instant riches and overnight success. More over promising and under-delivering. All I can say right now is, that other stuff just ain’t us. It’s not the stuff we’re made of, and if you hang around here for a minute I think you’ll see that quickly. So how’s this going to go down? Well, we’re aiming to set a new standard for learning to be awesomer real estate entrepreneurs together. This means sharing a steady flow of knowledge, wisdom and insights with you, stemming from many, many years (kinda almost literally eons) of cumulative experiences, plus what we’ve been lucky enough to learn from our close friends and colleagues also in the biz. It also means being honest, authentic and realistic about the actual work it will require from you to make anything happen here that actually matters. It means sharing the ups and the downs… the wins and the shaping losses that make us who we are – and extracting the invaluable lessons together from both sides of the coin. And it means having just as much fun as we possibly can together at every turn. I mean, who says REI’s gotta be stale, saggy and boring? And why not pretty much always cram all the fun we can into whatever we’re doing? At least, that’s how we feel anyways. So if you’re a debbie downer or really into boring stuff, then we prolly won’t work for you. You can meet team awesome here. You’ll be happy to see that we’re real human beings you can relate to, with actual, real-life experiences in real estate and business that we’d like to share with you for everyone’s benefit. Oh, and also feel free to feast your eyes on our highly-acclaimed Awesome REI training programs to learn about everything from private money getting, to ’10-hour’ wholesaling to motivated seller lead generation and tons more. So yeah. Here we go I guess. Let’s do this. This all sound so awesome. Cant wait. Great video ! Awfully encouraging ! Will be a part of it soon ! Thanks Justin ! This is really awesome of you guys and thanks very much. I’m likin’ it so far! Screw it! Let’s do it! Thanks Diane. Congrats on your first property! Glad you think so! Let us know if you have any questions! I am on the webinar and just leaving a comment. Great site guys! sweet, Ramiro. thanks for being a part.